Javaris Crittenton, back before he was a suspected killer. It just goes to show you that just because you’ve got money, that doesn’t mean you’re smart. That goes double for former athletes. 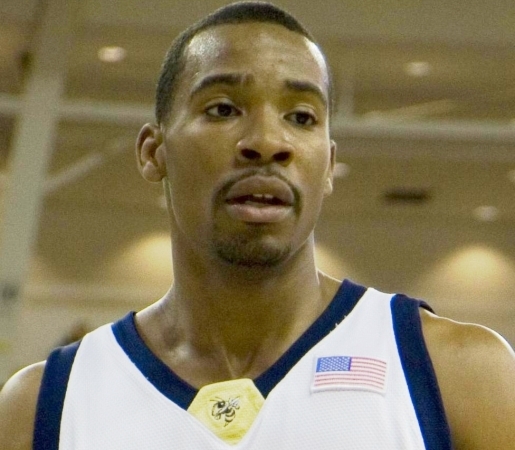 After all, see the sad case of former LA Laker and Washington Wizard Javaris Crittenton. He’s on the run from the FBI as we speak, and why is that? Former first-round pick and NBA player Javaris Crittenton is wanted for murder. According to the Atlanta police department, they believe Crittenton was executing the drive-by shooting in response to a robbery in April. Julian Jones, a 22-year-old mother of four, was not believed to be the intended target, just at the wrong place at the wrong time on that Atlanta street on August 19. Jones was shot in the leg and died during surgery afterwards. Crittenton vanished from his luxurious Fayetteville home shortly after. Police officers recently executed a search warrant at the premises. Crittenton was a star at Georgia Tech for one season (2006-07) before making the jump to the big leagues. Crittenton last played in the NBA in 2008-09; he spent last season with the Charlotte Bobcats, the Zhejiang Guangsha Lions of China, and the NBDL’s Dakota Wizards.